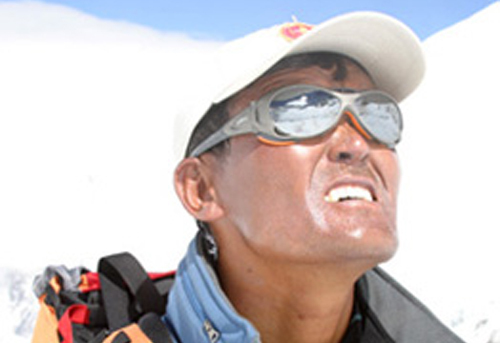 Lhakpa Gelu Sherpa began guiding on Mt. Rainier for Alpine Ascents in 2008 and he has previously climbed Himalayan peaks such as Everest (14 summits), Cho Oyu (3 summits), and Ama Dablam (2 summits). Lhakpa Gelu grew up in the Solo Khumbu region close to Mt. Everest, but now resides in Washington. He held the speed record on Mt. Everest when in 2003 he climbed from Base Camp to the summit in less than 11 hours. Climbing with Lhakpa Gelu is truly an honor. He is shy and reserved, yet possesses an uncanny ability to instill a sense of comfort and confidence of those who climb with him. Look for Lhakpa Gelu on our 3-day Rainier climb of the Disappointment Cleaver route through Camp Muir!